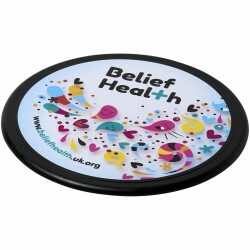 Lightweight and the perfect accessory to protect tables from moisture and water rings, adding your business and logo for a professional feel can also result in increasing brand awareness and increased exposure for your organisation. 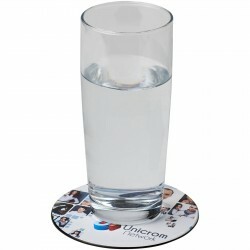 An easy way to get the attention of your potential clients, they're the perfect accompaniment to our range of promotional mugs. 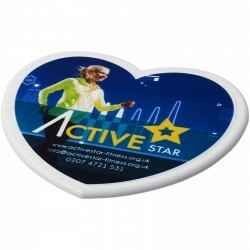 Branded table coasters are tried and tested practical items you can use across the office, in your canteen and on all desks to give that extra personalised touch. 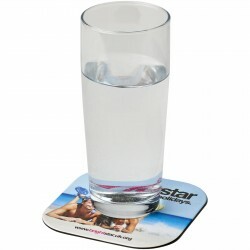 Choose from a wide range of drink coasters you can customise, from cork, plastic, leather, melamine and metal. 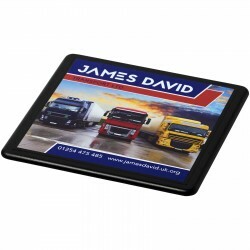 Using our custom-built configurator, you can choose the colour, number of colours in your print and quantity, and have an instant quotation within seconds. 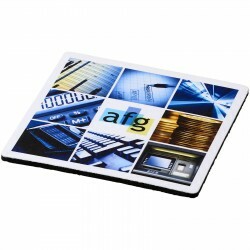 Submit your quote to receive your additional discount and get a free visual in no time at all. 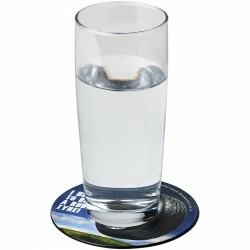 Check out our line of coasters and other giveaway items and have yourself an instant quotation ready to check out. Some of our standard inventories can be screen printed in five working days, that means you don’t have to wait for weeks for your order to arrive. 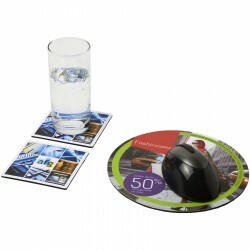 And once you have placed your order of corporate drink coasters, you can instantly track it online. We will also set you up an automated message update so you know when your order is out for delivery. 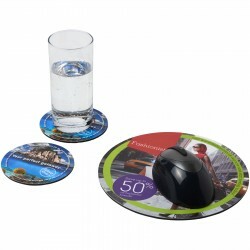 Whether you need your printed coasters and matching home decor to go with it, our professional team of experts can be of help. 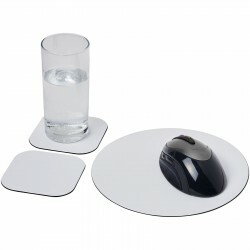 Our customer support team have been in the promotions industry for more than 20 years and all are dedicated to ensuring that each of our customers like you are happy and satisfied with your order. 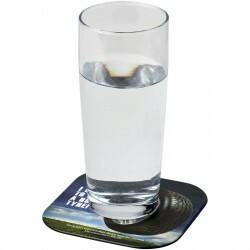 If you have any questions about your order, get in touch with us by phone, email or chat us through any of our communication channels to get an immediate resolution about your query. 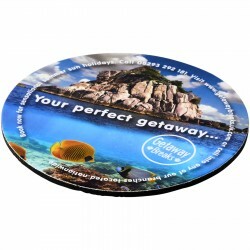 A great freebie to hand out to any business gathering, we have much more than just table coasters giveaway to entice your potential customers. 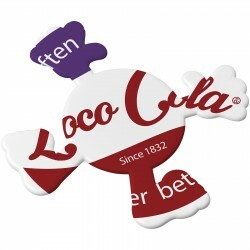 The only website where you can customise your clothing, drinkware, bags and branded VR glasses, all in one order. 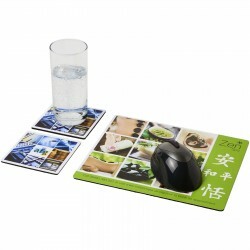 Look at our neatly categorised products and see unlimited potentials for your next events. Maximise your result with less of your effort with our streamlined order processing, eliminating such hassle like going back and forth with salespeople just to get the best prices. 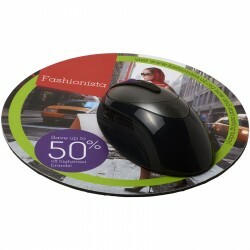 Shopping doesn’t need to be difficult. 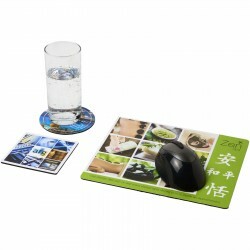 Once you have selected your table coasters or related printed homeware products, you will immediately see your quotation and have the option to process your order right away. 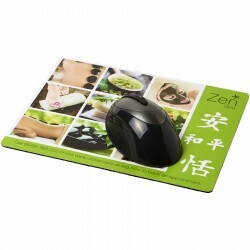 With transparent, budget-friendly prices, our quality products can aid you in winning your customers. 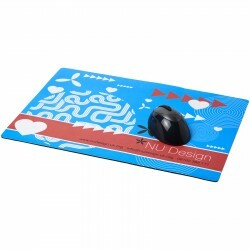 You will also receive a digital mock-up of your design even before you check out.